← So, um… Smoking Is Bad for Us? So, I haven’t gotten a blog in yet on Inception. I did get one out for Darkest Hour. And, I definitely drafted one for the original Deadpool, in which I ask why wouldn’t the Academy toss out some nominations for this Fan favorite, starting with a discussion for the writing adaptation race? My point in bringing up these other titles is that it’s kind of a rare thing anymore, particular for someone who eats, sleeps and breathes films the way I do, that a film delivers. And Deadpool 2, ladies and gentlemen, delivers. Particularly when you consider all of the trailers, special clips, images, social media posts – for there to still be a LOT of surprises when I saw the film opening weekend is a real tribute to the film and its marketing campaign. In the week before open, the campaign dropped a clip in which Deadpool visits former soccer star David Beckham at home – see that one below. It’s incredibly funny, and has earned over 21.4M views. For the next clip, consider the variation on an old saying, “Don’t be afraid to ask – but also, know how to ask…” Star Ryan Reynolds wrote a letter to fellow Canadian pop star Celine Deon. The substance of the letter was essentially Reynolds’ feelings that no one has had an amazing soundtrack song since Deon sang for Titanic. 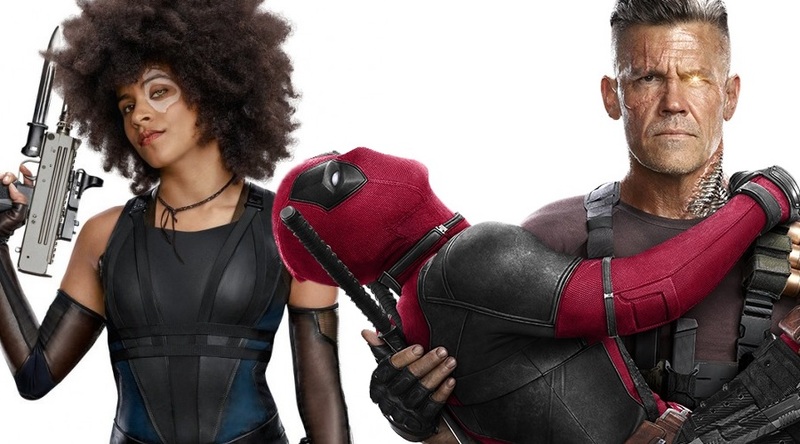 His question to her, “why not do it again, but for Deadpool 2?” The video below is amazing, but be sure to see the behind-the-scenes variations, too. And, when you see the film, you’ll surely agree that the use of this song and its placement in the film is hilarious. There were a lot of other really special clips, but this one was significant in that most promotional materials that come out after opening weekend are very standard. They typically tout “#1 movie in the world,” or “the action hit of the summer is here,” or other quick messaging for encouraging Fans to see the film in theaters. 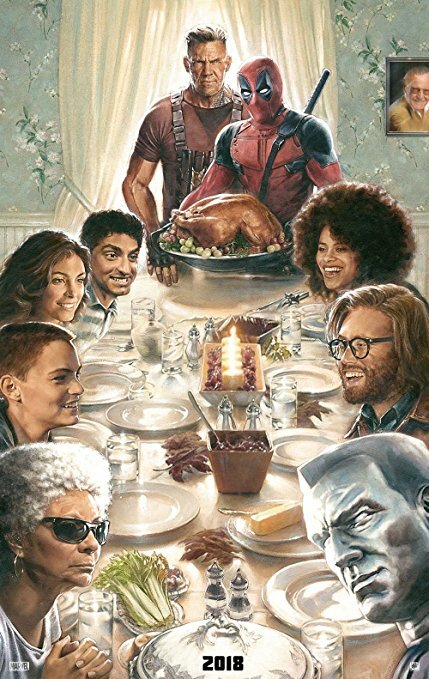 Take a look at the final clip linked below, which literally pays tribute to the Deadpool Fans – and, in a funny way, TV classic The Golden Girls. Referring to the second bullet above, it’s true – when you look the film’s official videos up on YouTube or if you’re browsing for DP2 on iTunes, this is the description that follows. So, the deadpan, socially awkward sense of humor that defines the character was embraced by the marketing campaign not only in the first film, but also in this sequel. Having a star like Reynolds, with his “all in” participation and energy is very rare, and to the campaign’s credit, they capitalized upon his involvement once again. And, as opening weekend approached, the campaign kept pivoting with co-stars like Josh Brolin supporting star Reynolds in promoting DP2. So far, I’ve focused mostly on the promotional campaign, because I think it’s a test case of what can be done when you have a dynamite character, a smart script, a truly dedicated lead actor and a marketing department willing to take risks. But, let me say I saw the film on its opening weekend, and it’s such a satisfying feeling when you look at the trailer or at least become aware of a film debut you’re interested in – and the experience of going to the theater to see it pays off. The storyline, involving Deadpool losing someone close to him and his subsequent attempt at righting some of his wrongful behavior towards becoming a true member of the X-Men, works the way the first one did. 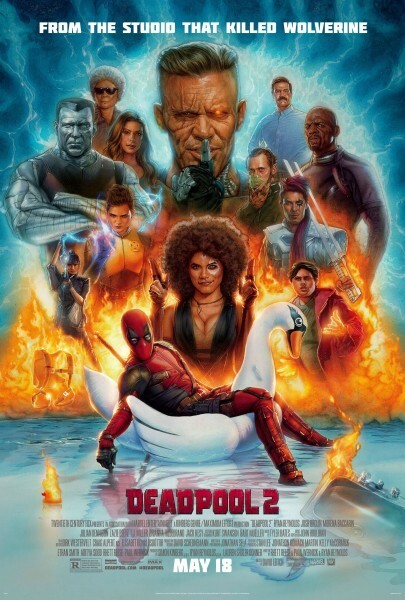 The plot allows for plenty of action, lots of new characters and cameos, not to mention DP’s breaking of the fourth wall and incessant comedic dialogue. Now, I’m not a comic book expert and I certainly missed some of the jokes and references that were obviously entertaining to other fans in that theater that weekend. Again, I think this speaks directly to the script’s success – that both superfans and guys like me, who love the action/comedy genre, even if it spills over into superheros – this story got to both of us. With all of these positive comments considered, be aware that the film is extremely violent, just like its predecessor. If the first one didn’t resonate with you, definitely be aware that the sequel is very much the same “maximum effort” at not only entertaining action Fans, but also presenting a tongue-in-cheek parody of the superhero genre. And, if I’m pressed to advise what stood out in DP2, I’d have to say Josh Brolin as Cable. I couldn’t believe – particularly having seen so much of the teaser marketing materials – how much the actor brought to the role, and how the story kept his involvement anything but vanilla. Not to say that Colossus and my boy Dopinder and the other supporting characters weren’t funny – just that Cable was a true gem. And finally, here are some of the amazing posters the campaign assembled. I think it’s worth a pat on the back that the marketing department at 20th Century Fox gave the go ahead to share all of these – I mean, look how fun they are!